Discover a City of Fun and Adventure when you visit The Oriental Legazpi in Albay, Philippines. 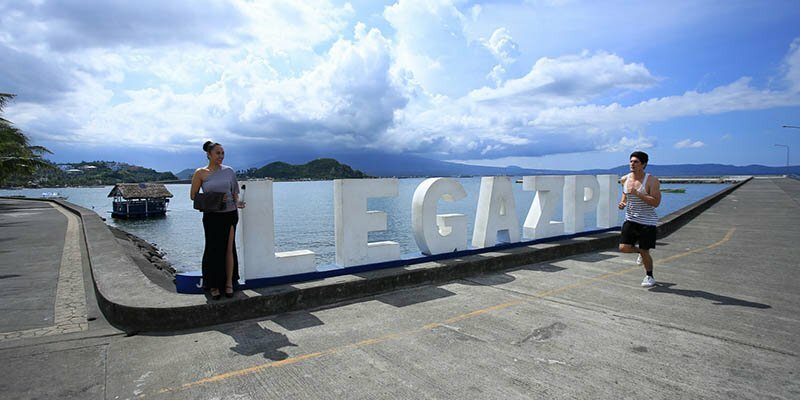 The moment you arrive in the city through the Legazpi International Airport or the Legazpi and Daraga bus terminal, you will be greeted with smiles from The Oriental Legazpi staff. From adventurous thrills to relaxing getaways, you will have an experience that’s Uniquely Oriental. The activities in Legazpi, Albay can be exhausting yet fulfilling. 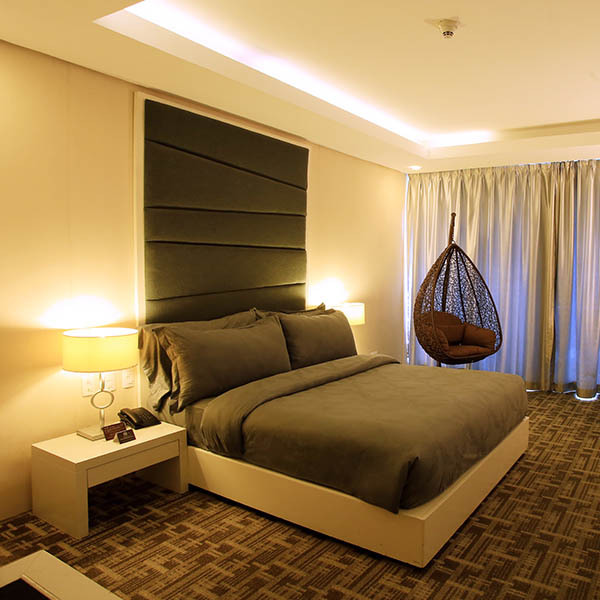 Giving you an assuring sense of comfort, The Oriental Legazpi’s rooms go beyond pleasing aesthetics. Never worry about where to stay in Legazpi as each room aims to give the tired body a much deserved good night’s rest for the next day’s schedule. After exploring the Legazpi City tourist spots, you can look forward to having a rejuvenating massage at the outdoor spa or unwinding by the infinity pool overlooking Mayon Volcano. 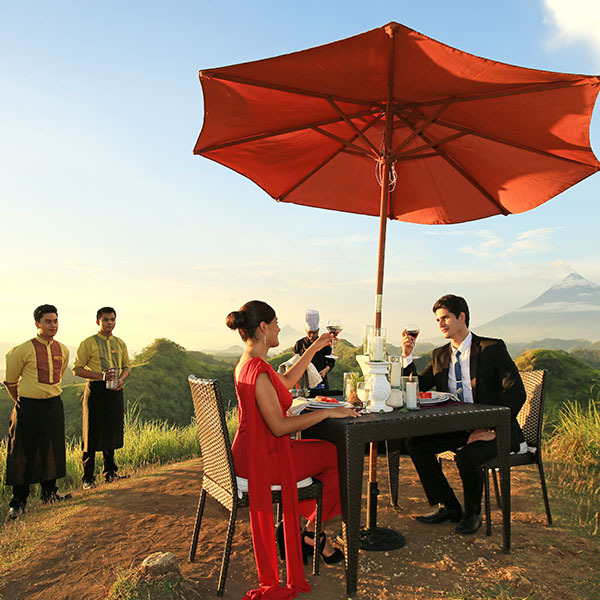 Fall in love with Mayon's beauty right in front of you as you take a break for the day. Guests are sure to have a unique gastronomic experience at our hotel in Legazpi, Albay. Indulge in a variety of international dishes as well as local food favorites including Laing Bagnet, Pasta Bicolandia and the famous Bicol Express. 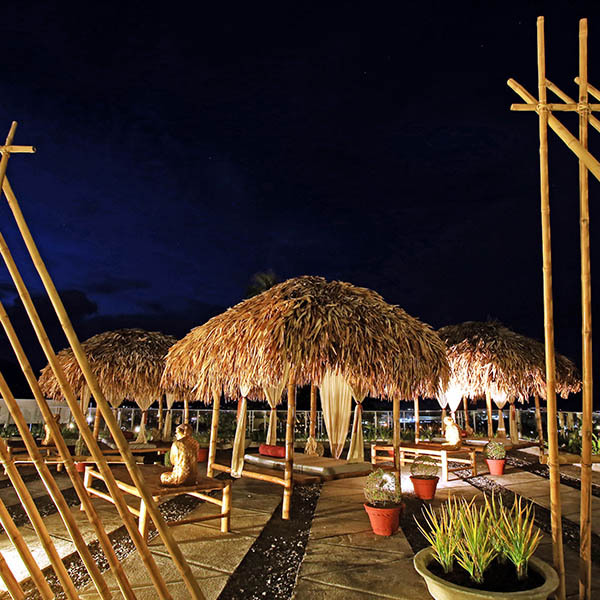 At The Oriental Legazpi, you are greeted with a choreographed dance and a welcoming smile. Serving you with passion and dedication throughout your stay, the hotel staff will make you feel home at The Oriental. Beyond the majestic view of Mayon Volcano from the hotel, The Oriental Legazpi brings you closer to its beauty through the hotel's trusted ATV tour partners. Ride an all-terrain vehicle and experience coursing through volcanic rocks, creeks, and paths along the mountainside. 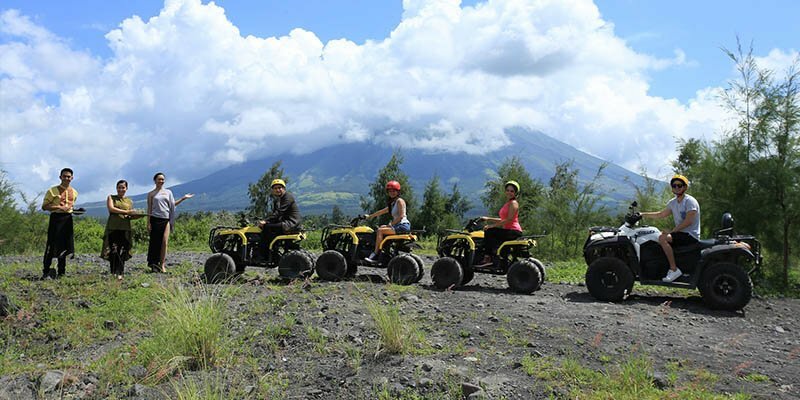 An exhilarating 45-minute ATV ride will take you to the Mayon Lava Rocks where you can enjoy hiking and ziplining, perfect for capping off your ATV adventure. Embarcadero is one of Legazpi City’s popular destinations where you can enjoy a variety of activities. From having a night out or taking a morning jog, Embarcadero, just 3 kilometers away from The Oriental Legazpi, is a must-visit for those who want to live local.